Discussion in 'Tesla Parts for Sale' started by shiz, Aug 2, 2018.
would anyone be interested in buying the stock 18” OE tires that comes with the M3? I believe they are Michelin MXM4. It’ll Be new basically. I’m anticipating to swap them to different set of tires as soon as I get the vehicle , within a month I Hope. Just the tires. Unless someone wants to swap their 19” OE model 3 wheels/tires with the OE 18” wheels/tires. 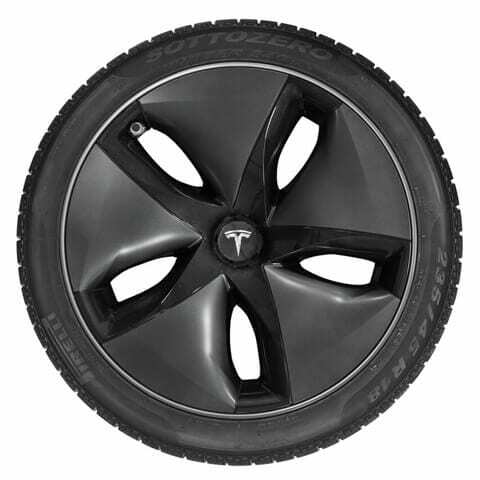 These are the wheels included as standard on all Model 3 vehicles. I think he meant the physical tires only not anything else as he’s replacing them for ones he prefers. Are the 20’s staggered stock or square all around like the 18’s?